First 19-Numbers (0-18) Roulette using a Deck/s of Roulette-18 Cards. ​Exciting, Space-Saving alternative to traditional Roulette (House-Edge 5.26%)! 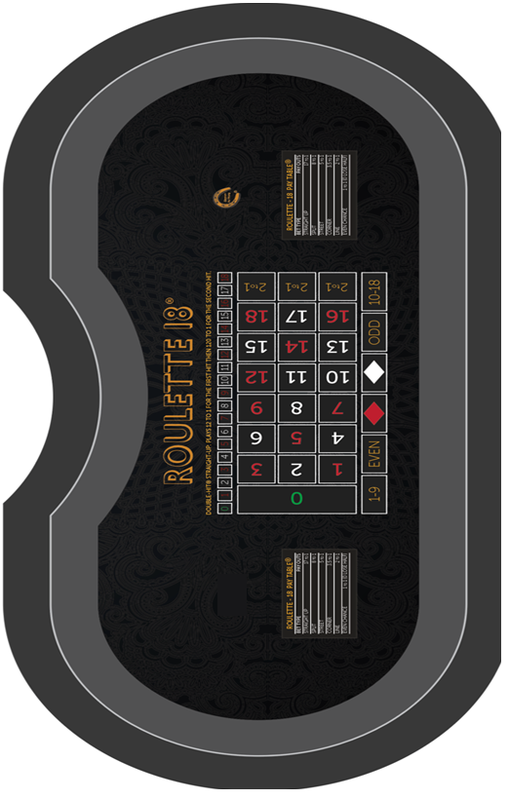 Roulette-18® Shuflette® uses a Deck/s of Roulette-18® Cards and a unique layout that does not require a Roulette-sized table. Like traditional Roulette, Players can place: Straight-up, Split, Street, Corner, Line and Even-chance bets. 2. One card is randomly selected (e.g. 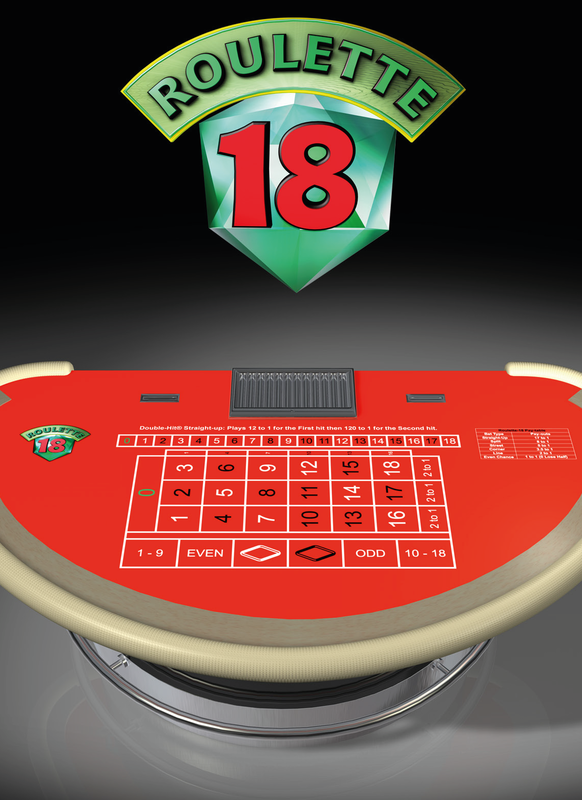 shuffling machine) from a Deck/s of Roulette-18® Cards, numbered (0-18).